Online Reputation Management Blogs List. The Best Online Reputation Management Blogs from thousands of Online Reputation Management blogs in our index using search and social metrics. We’ve carefully selected these websites because they are actively working to educate, inspire, and empower their readers with frequent updates and high-quality information. Online Reputation Management newsletter is a comprehensive summary of the day's most important blog posts and news articles from the best Online Reputation Management websites on the web, and delivered to your email inbox each morning. To subscribe, simply provide us with your email address. Redwood City, California About Blog Reputation.com helps businesses put their best foot forward online in social media, online reviews and more. Facebook fans 4,425. Twitter followers 12,535. Facebook fans 3,979. Twitter followers 3,345. INDIA About Blog aReputation is Asia's leading Online Reputation Management firm. As a digital wellness partner to many global clients, our Digital PR strategies promise your brand’s strong standing in the digital cosmos. Facebook fans 77,600. Twitter followers 84,252. Austin | NYC | LA | São Paulo About Blog Status Labs is the premier digital reputation management, online marketing, and public relations firm, with offices in Austin, New York, Los Angeles, and São Paulo. Our goal is to help our clients look their best in search results and build reputation via effective digital marketing and PR strategy. Facebook fans 9,921. Twitter followers 487. About Blog Reputation Loop™ is the world’s first and only reputation marketing platform. Our goal is to empower local business owners with the ability to control and expand their positive reputation. Facebook fans 2,082. Twitter followers 102. Facebook fans n/a. Twitter followers 221,576. Irvine, CA About Blog The latest news, videos, and discussion topics on Reputation Management. Facebook fans 3,529,913. Twitter followers 3,398,386. About Blog Marketing Land's guide to all things Reputation Management. Marketing Land provides internet marketing news and analysis, along with columns covering practical tips and strategies to succeed with online marketing. Facebook fans 192,411. Twitter followers 197,773. Sausalito, California About Blog Reputation X is an ethical online reputation management firm that provides helpful content, tools, and expert consulting services to help brands both be better and look better online. Facebook fans 421. Twitter followers 4,953. About Blog Net Reputation offers online reputation management services that include search result removal, suppression, protection, and reputation monitoring. We fix negative Google search results. Calgary, Alberta About Blog SWIFTLY Labs is an online Marketing, Search Engine Optimization, and Online Reputation Management Company focused on SEO, Content Curation and Online Reputation Management Services & Online Profile Defenders. Facebook fans 23. Twitter followers 2,240. Syracuse, NY About Blog ReputationManagement.com is a provider of reputation management services to organizations, businesses and individuals around the globe. Facebook fans 124. Twitter followers 224. Mendon, MA About Blog Welcome to the Reputation911 Blogs where you will find the latest information on reputation and privacy management and how to build a good reputation for your personal and business reputation. Facebook fans 437. Twitter followers 852. Uttar Pradesh, India About Blog Online Reputation India company is providing best online reputation management consulting services with affordable cost. Get expert consultation to repair and brand your online presence. Facebook fans 375. Twitter followers 67. New Delhi, India About Blog Value4brand is a leading Online Reputation Management and Digital Marketing company in New Delhi, India. With the team of Best Digital Marketing professionals. Value4Brand help the companies to build, repair, manage and promote their brand globally which help to meet the client’s revenue requirements. Facebook fans 8,038. Twitter followers 998. About Blog myORM provides online reputation management services to automotive, attorney, hotel, real estate, restaurant and other small businesses. Leave your worries about negative reviews to myORM and build an outstanding online reputation! Buffalo, NY About Blog RepCheckup is an online reputation management solution that combines software and services to help you an online reputation that reflect offline realities. Sign-up and get online review monitoring absolutely free. Facebook fans 3. Twitter followers 33. Facebook fans 173. Twitter followers 51. Facebook fans 9,485. Twitter followers n/a. Scottsdale, Ariz. About Blog JW Maxx Solutions is a leading online reputation management firm, providing positive media outcomes to growth oriented companies. Facebook fans 3,670. Twitter followers 25,912. 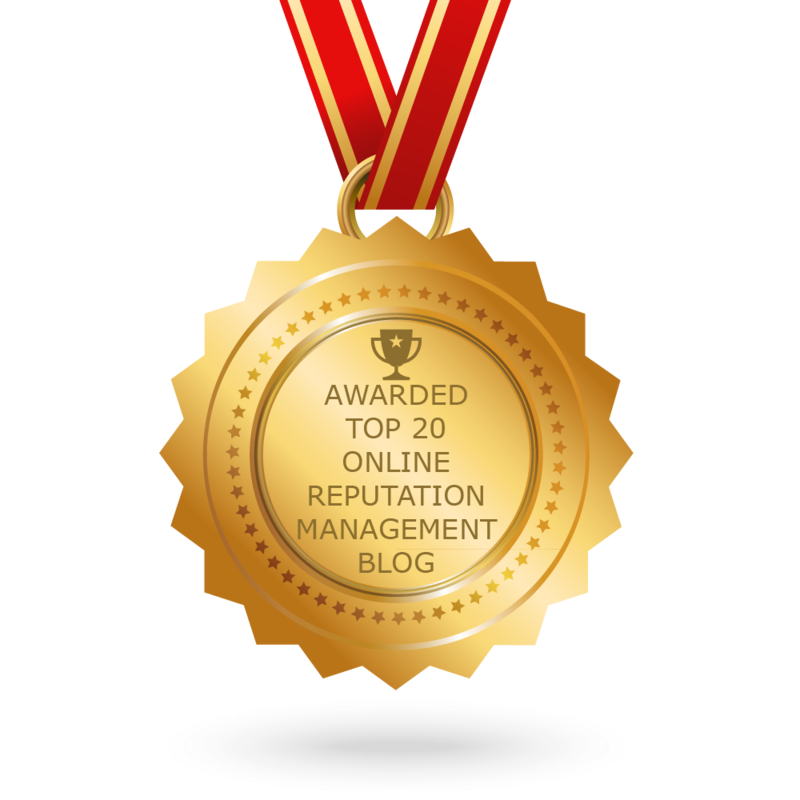 CONGRATULATIONS to every blogger that has made this Top Online Reputation Management Blogs list! This is the most comprehensive list of best Online Reputation Management blogs on the internet and I’m honoured to have you as part of this! I personally give you a high-five and want to thank you for your contribution to this world.